What is Venture Capital Investing? Venture capital investing is a type of private equity investing that involves investment in a business that requires capital. The business often requires capital for initial setup (or expansion). Venture capital investing may be done at an even earlier stage known as the “idea phase”. A venture capitalist may provide resources to an entrepreneurEntrepreneurAn entrepreneur is a person who starts, designs, launches, and runs a new business. Instead of being an employee with a 9-5 job and reports to a supervisor because the former believes that the latter can come up with a great business idea. Private equity investments are equity investments that are not traded on public exchanges (such as the New York Stock ExchangeNew York Stock Exchange (NYSE)The New York Stock Exchange (NYSE) is the largest securities exchange in the world, hosting 82% of the S&P 500, as well as 70 of the biggest corporations in the world. It is a publicly-traded company that provides a platform for buying and selling). Institutional and individual investors usually invest in private equity through limited partnership agreements, which allow investors to invest in a variety of venture capital projects while preserving limited liability (of the initial investment). 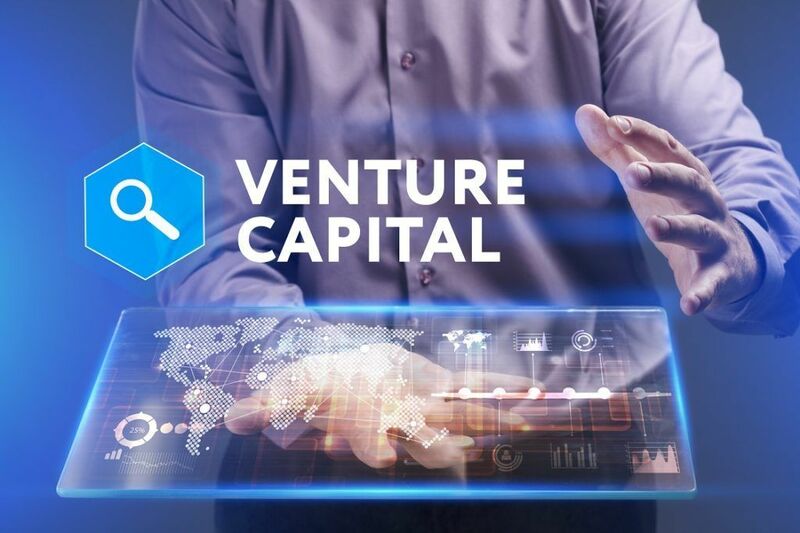 Venture capital investing projects are usually run by private equity fundsPrivate Equity FundsPrivate equity funds are pools of capital to be invested in companies that represent an opportunity for a high rate of return. They come with a fixed investment horizon, typically ranging from 4 to 7 years, at which point the PE firm hopes to profitably exit the investment. with each PE fund running a portfolio of projects it specializes in. For instance, a private equity fund specializing in artificial intelligence may invest in a portfolio of ten venture capital projects on fully intelligent vehicles. Seed-stage capital is the capital provided to help an entrepreneur (or prospective entrepreneur) develop an idea. Seed stage capital usually funds the research and development (R&D)Research and Development (R&D)Research and Development (R&D) is a process by which a company obtains new knowledge and works on the introduction and improvement of its products and of new products and services and research into prospective markets. Early-stage capital is venture capital investing provided to set up initial operation and basic production. Early stage capital supports product development, marketing, commercial manufacturing, and sales. Later-stage capital is the venture capital investing provided after the business generates revenues but before an Initial Public Offering (IPO)Initial Public Offering (IPO)An Initial Public Offering (IPO) is the first sale of stocks issued by a company to the public. Prior to an IPO, a company is considered a private company, usually with a small number of investors (founders, friends, families, and business investors such as venture capitalists or angel investors). Learn what an IPO is. It includes capital needed for initial expansion (second-stage capital), capital needed for major expansions, product improvement, major marketing campaigns, mergers & acquisitions (third-stage capital), and capital needed to go public (mezzanine or bridge capital). Venture capital investments are usually long-term investments and are fairly illiquid compared to market-traded investment instruments. Unlike, publicly traded investment instruments, VC investments don’t offer the option of a short-term payout. Long-term returns from venture capital investing depend largely on the success of an IPO. Venture capital investments feature a structural time-lag between the initial investment and the final pay-out. The structural time-lag increases the liquidity risk. Therefore, VC investments tend to offer very high returns to compensate for this higher than normal liquidity risk. Unlike standard investment instruments that are traded on some organized exchange, VC investments are held by private funds. Thus, there is no way for any individual investor in the market to determine the value of the investment. The venture capitalist also does not know how the market values his investment. This causes IPOs to be the subject of widespread speculation from both the buy-side and the sell-side. The majority of venture capital investing is into innovative projects whose aim is to disrupt the market. Such projects offer potentially very high returns but also come with very high risks. As such, entrepreneurs and VC investors often work in the dark because no one else has done what they are trying to do. An entrepreneur and an investor may have very different objectives with regards to a project. The entrepreneur may be concerned with the process (i.e., the means) whereas the investor may only be concerned with the return (i.e., the end). An investor and a fund manager may have different objectives regarding a particular project. The difference in interest depends largely on the contract signed by the fund manager. For instance, many fund managers are paid based on the size of the VC fund and not based on the returns generated. Such fund managers tend to take on excessive risk with regards to investments. Thank you for reading CFI’s guide to venture capital investing. CFI is the official provider of the Financial Modeling and Valuation Analyst (FMVA)™FMVA™ CertificationThe Financial Modeling & Valueation Analyst (FMVA)™ accreditation is a global standard for financial analysts that covers finance, accounting, financial modeling, valuation, budgeting, forecasting, presentations, and strategy. certification program, designed to transform anyone into a world-class financial analyst. Seed FinancingSeed FinancingSeed financing (also known as seed capital, seed money, or seed funding) is the earliest stage of the capital-raising process of a startup. Seed financing is a type of equity-based financing. In other words, investors commit their capital in exchange for an equity interest in a company. Venture DebtVenture DebtVenture debt is a type of debt financing obtained by early-stage companies and startups. Such type of debt financing is typically used as a complementary method to equity venture financing. Venture debt can be provided by both banks specializing in venture lending and non-bank lenders. UnicornUnicornIn finance, "unicorn" is a term that describes a privately-owned startup with a valuation of over $1 billion. The term was introduced by venture capital investor Aileen Lee in 2013 to describe rare tech startups that were valued at more than $1 billion.